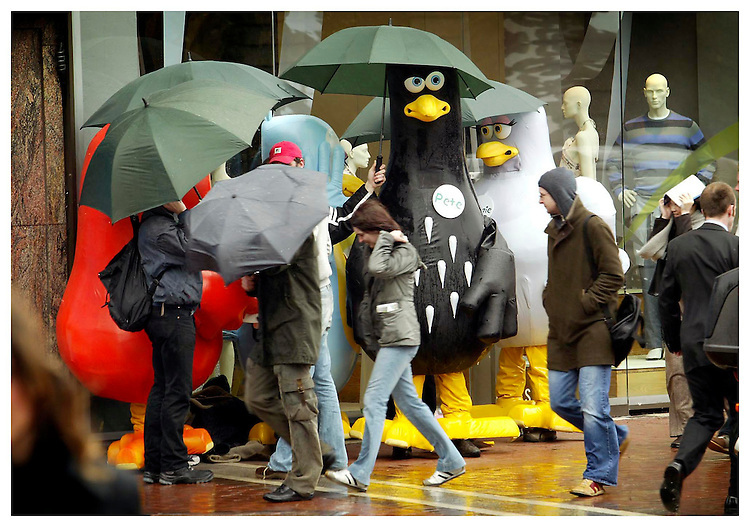 Fair Weathered Birds....Character's from the Lyons Tea commercials pictured sheltering from the April showers on Grafton Street, Dublin. Pic. Robbie Reynolds.